DKG: Whereabouts in Canada are you from? I was born in Hamilton, Ontario and currently I live nearby in Niagara-on-the-Lake, Ontario. The two cities are a thirty minute drive apart. DKG: You lived in Bonn for a year. How did your career trajectory land you here? I was completing my doctoral studies in 2007 when I began looking for a postdoc or an academic job. The market for stable positions was beginning to slowly dissipate. I found an ad online for the position of Visiting Professor of North American Studies at the University of Bonn. I was unfamiliar with the Canadian who held the job, but I contacted them to learn more. They endorsed it and I applied and received the job—this was when I was 8/9ths of the way through writing my dissertation. I photocopied about a thousand pages and put them in my suitcase with a slew of books, brought them over and finished writing my dissertation in Bonn. I came here in early October and went back to defend the dissertation in January. After that, I was here up until late July of 2008. DKG: What brings you back to Germany? What are you doing these days? Bonn University notified me in September that a competitive grant application could be filed by former visiting scholars to return, lecture and work with graduate students. I wrote Professor Simone Knewitz and Professor Sabine Sielke to ask whether they’d welcome my application and perhaps arrange a date to come back. Both were happy to help and were incredibly hospitable during my stay. I was able to visit, in part, because I’m at the end of a year-long parental leave at Niagara College in Ontario (where I teach communications and writing). I’ve been raising my son, Arlo. Since I wasn’t teaching at the moment, I could visit for a week. At the moment, I’m on leave from teaching; however, I’ve been writing as much as I am able. I recently finished a review of the work of Eyal Weizman—he’s a theorist of visual forensics and spatial conflict—and I’m trying to complete a final revision of a manuscript on economic documentaries. DKG: What do you tell people about your year here? Well, I raved about it. After me, in the position of Visiting Scholar, came one of my closest friends, Dr. Andrew Pendakis, who was here for two years. Then after him came another close friend, Dr. Justin Sully, who also graduated from McMaster University. Justin was here for three years, renewing his contract twice. Both of them also had productive times and both returned to North America for postdocs and jobs. I ask people in the North American Studies programme whether they know that the people who have come through here have been quite successful when they go back to America! I think they have a good sense of it. DKG: Was there something from that time that you remember especially well or think back on fondly? Sure. It was that moment when you transition from being very intensely focused on a doctorate, which is 300 pages of writing and years of preparation, to a small period of collegiality and interaction with other faculty—that was a period of growth and development. Once you finish your dissertation, you’re chomping at the bit to get other things done. So it finally felt like ‚Now I’m able to go ahead and travel to Berlin and give a lecture there‘, which was very memorable or, “Wow, now I’m able to travel to Poland,” give a paper there and stay for a week without worrying about the types of responsibilities I had. I remember developing severe plantar fasciitis from the amount of walking I did while visiting these cities. But, ultimately, employment lifts the weight of poverty you shouldered while trying to complete a dissertation. It was nice to feel like that doctoral preoccupations eventually gave way to other challenges. DKG: A few days ago the Organisation for Economic Cooperation and Development released its PISA (Programme for International Student Assessment) rankings for the core domains of math science and reading. But they also measured skills they deemed necessary to survive in the 21st century like collaborative problem solving. For this particular variable, Singapore topped the list and Canada followed closely at number 5 and Germany came in 12th. The OECD strongly recommends amendments to curricula to cultivate these social skills which according to them make student more employable. Canadian students outperformed Germans on the scale! As someone who has taught in both countries, what do you think this can be attributed to? Is the academic milieu in Germany different or better to that in Canada? This is kind of a thorny question to try to answer. One thing that I’ve noticed is that the German university system compared to the Canadian college or university system is far less corporate. Even though you can see some construction around the University of Bonn, you have nothing like the push to build glass clad structures in North American institutions—massive sports complexes or arenas on campus. In Canada, this growth model is standard. You don’t have to pay mind to the architectural developments of the places to understand the culture, but it is a far more corporate environment in North America. I only spent a year working within the corporate elements in a Germany university, but you can feel the ways that the Canadian system has an administrative bloat. Now, how does this affect students? There might be a doggedness or attention to detail about how students develop in the North American postsecondary education system, in terms of indexes and measurements, testing and awards. These measurements do not guarantee that. National comparisons are difficult to parse, because you’re kind of comparing apples to oranges or kiwis to Audis. Who’s to say these qualities of, say, student preparedness are needed in a particular economy? Articles abound in North American media, for example, about humanities graduates being the most employable despite having seemingly less direct vocational skills. It’s also a question of whether the university should be a place of skill development. There’s all kinds of philosophies or theories for what a university should do to prepare, teach or educate someone. When I see these reports, I wonder how they create a standard measuring stick for all students across all learning environments. DKG: Did you find you had to change anything about your teaching style and adapt it to German students? I’m always learning improved ways to teach with clarity, resourcefulness and critical acuity. Preparedness is essential and yet I learn indirectly, in a slow way, and I expect most of us learn this way. Learning takes a lot of time. 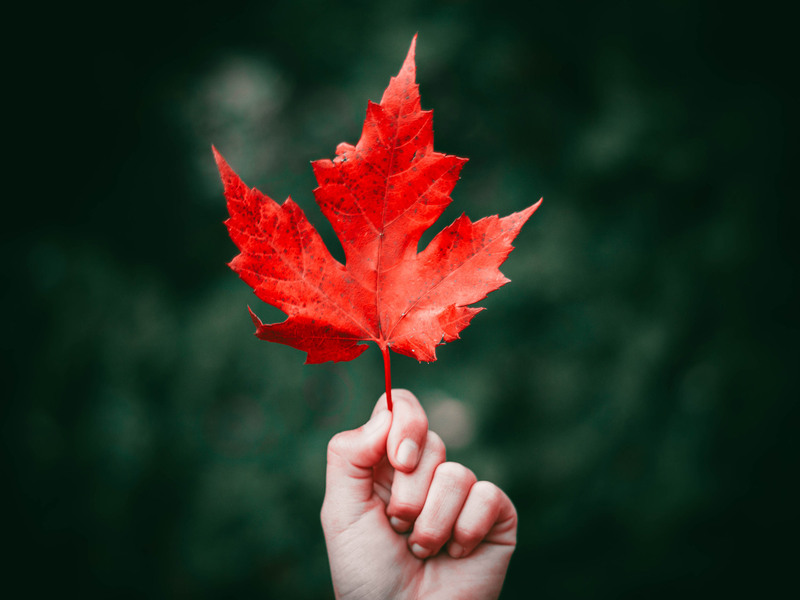 Teaching students in Canada or Germany is similar in the sense of connecting with them so that they identify and grasp what works for them. Their—the students—ability to identify what works might differ from one national culture to the other. DKG: Is there something about Canada you like (a place, cuisine, traditions) that people don’t often hear about? I live in Niagara, which is wine country (and on the same latitude as Rheinian wine country), but I’ve been impressed of late by the quality of beer being produced. I know it sounds kind of macho, but this is beer that comes out of wine country and their traditions. Breweries here are taking the used wine barrels from other wineries in the areas, and fermenting their beer there. It’s a big boom industry, and the college I work at has a brewmaster program so you can study to become a brewmaster. If I’m not mistaken, they have a 100% employment rate; there’s a program I think is doing it right! Everyone’s getting full-time jobs straight out of the program. Canadian beer based in Southern Ontario is changing dramatically. Some of the breweries in that area will do a collaboration with breweries here (in Germany), and since I’ve been here I’ve been trying all sorts of beer. I’m probably “sampling” too much beer, but because I’ve heard of the breweries and I know the types of beer from living in that region for 5 years so I had to try them! So, Niagara is now a destination for beer as well as wine aficionados.